I loves me some Star Trek... and lately (as in the last several years), I've been a bigger fan of the fan productions than the official CBS/Paramount productions. 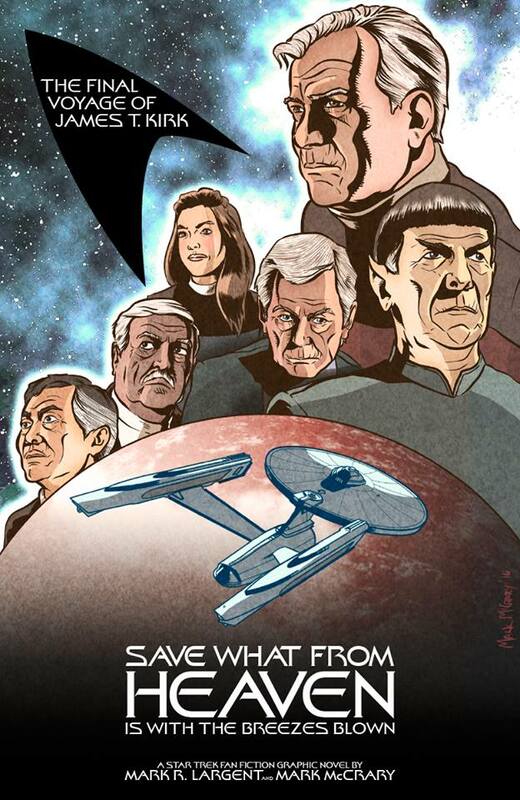 I'm also a fan of the IDW Star Trek comics. But something new has just been completed, and it's incredibly good. For Star Trek's 50th anniversary, Mark R. Largent and Mark McCrary have just dusted off and finished a comic book that they originally started in 1991. I must say, it is aces. The artwork: great. McCrary's pencils perfectly capture the character of the characters, if you get my drift. I've made a .cbr comic book file out of it, which I'm willing to surreptitiously share, but only to people who've gotten on Largent and McCrary's Facebook page and given them some love*. * To be honest, a CBR file isn't that hard to make yourself. Put all the pages in a directory and name them alphabetically. Then use RAR to compress the directory and rename the file extension .CBR. That's it. To make a CBZ file, use Zip instead of RAR and rename the extension to .CBZ. Then you can read it with your favorite comic book reader or many ebook readers. Dave, thanks so much for your kind words about our work. It was a labor of love, and to see that someone enjoyed reading it as much as we did creating it is really rewarding. Thanks so much!